Great money managers say the secret to success is not the ability to buy good stocks, but the ability to know when to sell them. In a recent post on his blog, Dallas Mavericks owner and serial entrepreneur Mark Cuban said that the current technology market valuations, including Apple Inc. joining the Dow Industrial Average as the most valuable company on earth, are worse than the dot-com bubble of 2000. Cuban knows how to spot a market top, since he sold his company in 1999 to Yahoo! for $5.7 billion–before Yahoo! was forced to shut it down as worthless a couple years later. 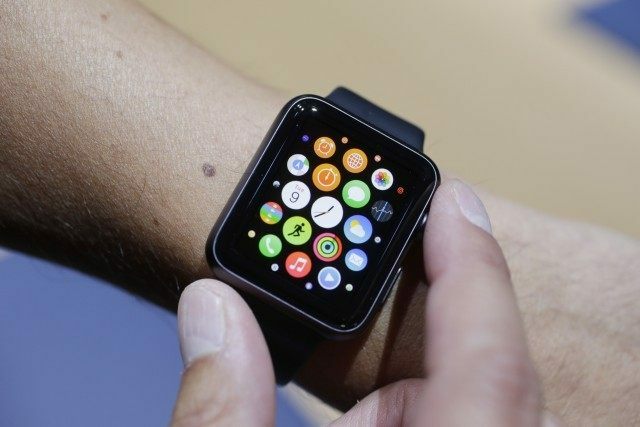 Just days before Monday’s launch of the Apple Watch, Dow Jones & Company announced on Friday that Apple, Inc. will replace telephone, cable and Internet service provider AT&T, which has been one of the 30 companies in the “Blue-Chip” stock index for the last 99 years. Knowing that all of the Wall Street “Index Money Managers” who only invest in portfolios of equities to match indexes would have to buy Apple eventually, hedge funds were “front-running” Apple Inc. stock (APPL-NASDAQ) by driving it up from a close of $112.82 on December 31, 2014 to a recent all-time-high of $133 and an opening at $128.40 Friday on the Dow Jones announcement. 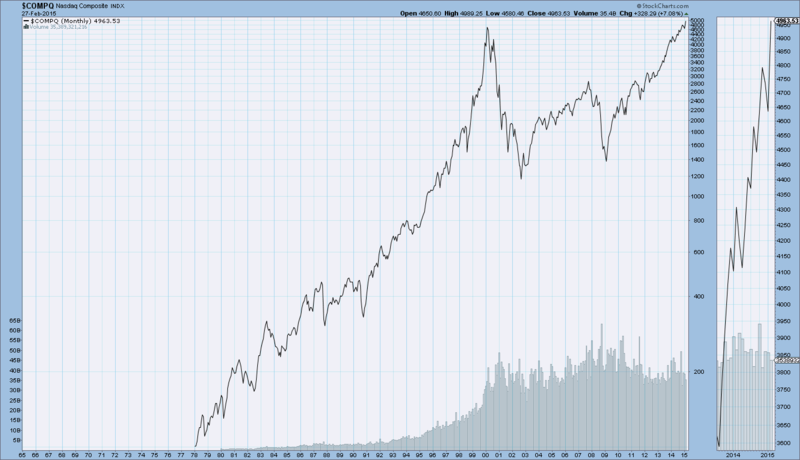 But the history of mega-technology stocks joining the Dow Jones Industrial Average has been grim. In November of 1999, Microsoft (MSFT-NASDAQ) and Intel (INTC-NASDAQ) joined the Dow. Both stocks saw brief stock-price rallies, but began tanking in the March 2000 as the “dot-com” bubble burst. Neither company’s shares have ever returned to their 1999-2000 heights. Mark Cuban started what became Broadcast.com in 1995 with a single computer server and an ISDN to webcast Indiana University basketball games. The service featured slow dial-up connections that made watching video a test of patience as did the laughably meager library of shows (think 1960-era monster movies and Victoria’s Secret fashion shows). With 330 employees, the company only had $13.5 million in quarterly revenue when Cuban sold it for $5.7 billion in Yahoo! stock during the dot-com boom. The acquisition was seen by frenzied investors as a brilliant move, and Yahoo! stock more than tripled from $31.73 in August 1999 to close at an all-time-high of $108.17 on December 31. But over the next 3.5 years Broadcast.com was abandoned, tech heavy NASDAQ Index lost 78%, and Mark Cuban became a legend for selling at the top. Cuban described life in the “bubble” as investors constantly being pitched ideas that made comparisons to other billion-dollar success stories. Mark Cuban compares the list of dot-com success stories such as Broadcast.com, AOL Inc. and Netscape to the modern “tech bubble” world of Airbnb, Uber, Twitter and Facebook, Inc.
Apple stock has roared to all-time highs since the company announced record corporate profits in the holiday shopping season, thanks to strong sales of new iPhones, pushing its market valuation to a U.S. record. Shares opened Friday morning at $128.40, up 1.6 percent from Thursday’s closing price. After the announcement that Apple would join the Dow, the Wall Street Journal released a story reporting that crooks have found a way to defraud the proprietary iPhone “Apple Pay” service using stolen credit card data from Target and Home Depot. Although Apple Pay was not been hacked, credit card thieves have discovered how to rob the service. The current stock market bubble is not Mark Cuban’s first rodeo. He rode the dot-com bubble 16 years ago and was one of the very few who sold just before the prices topped out. Cuban believes a new bubble has been blown over the last six years with the stock market up an incredible 215 percent, and Apple Inc. up a phenomenal 994 percent.